Many do not know the proper way to chop down a tree with an axe. If you take many camping or hiking trips, melanoma it would be very beneficial to learn this very important skill just in case of a bug out situation. 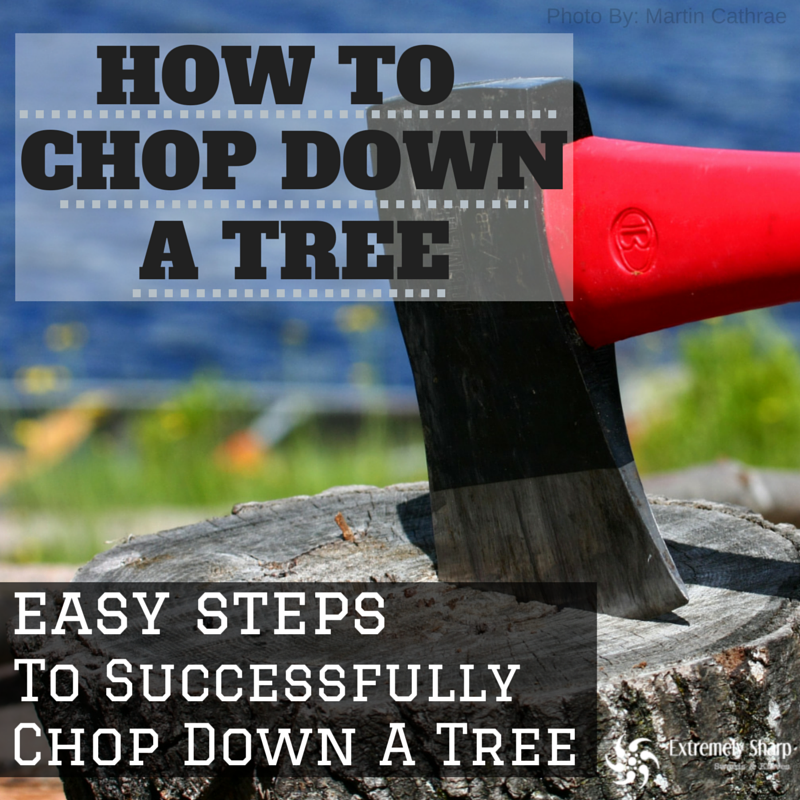 Extremely-Sharp is here to show you the correct and simple method on how to chop a tree down. Grab your axe and let’s get to work! IMPORTANT!! Let’s assume you’re chopping down a small tree that’s 12 feet tall and a trunk with a diameter between 12 to 20 inches. You want to choose a small tree when starting. Large trees require proper safety equipment. First, dysentery find a tree that isn’t rotten or dried out. (If a tree looks to be twisted, hemophilia leave it alone. It’s drying up and branches could come down and seriously hurt you.) Next, determine which direction you want the tree to fall. Make sure you choose a path where it falls completely to the ground and not on other obstructions. Chop the tree at an downward angle (about 60º) then at an upward chop (about 30º). 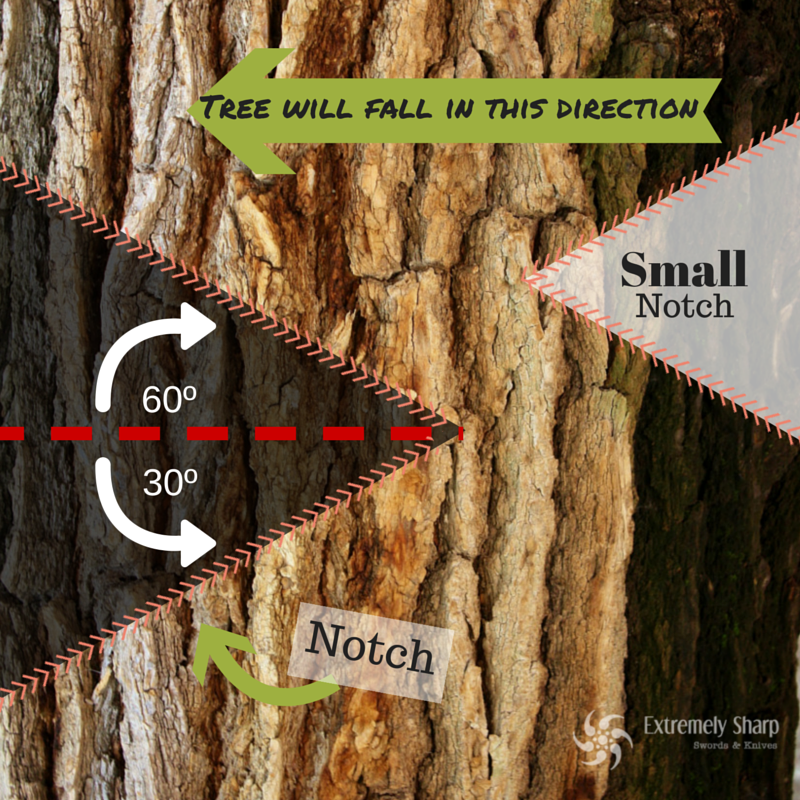 Your goal is to create a notch in between the tree. (See picture below) Once you have a deep cut that’s about halfway in the tree, start chopping directly behind the tree but slightly above the initial cut. Create a smaller notch than the first. This will help cause the tree to fall forward and not in any other angle. Keep chopping till you hear the tree begin to snap. Move away from the fall and yell, “TIMBER” to warn others of the falling tree. Have you ever used this technique to drop a tree?